In his debut novella, Steven D. Helgerson shares a harrowing tale of historical fiction as America prepares to enter Word War I. 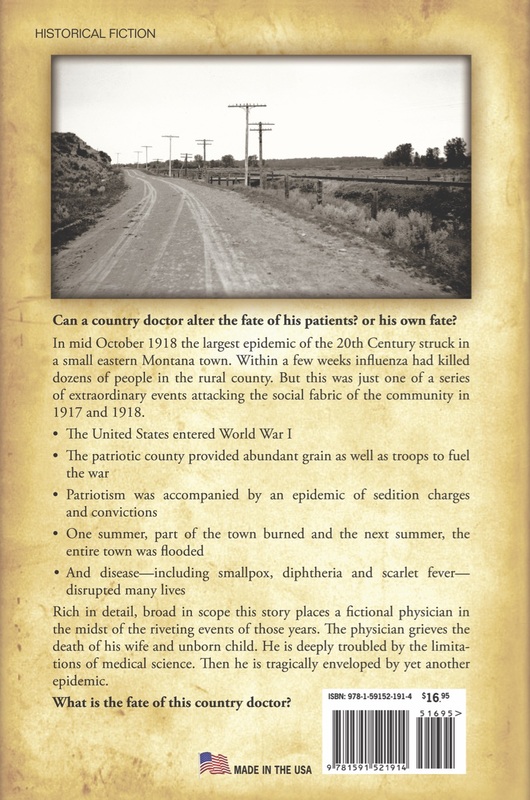 By mid-October 1918, the largest epidemic of the 20th Century had reached rural Montana. The effects were catastrophic. Grieving the death of his wife and unborn child, a physician, deeply troubled by the limitations of medicine in his time, struggles to protect his community. 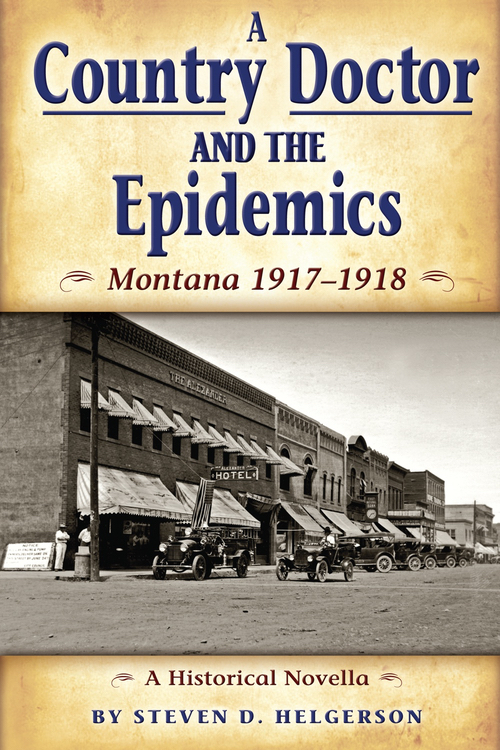 A detailed study of the extraordinary events affecting the social fabric of 1917 Montana, Helgerson examines a world on the brink of World War I and its affect on a community disrupted by disease and war. Pick up a copy at your local book or gift store or call us at 800-821-3874. Steven Helgerson was born in Washington. He received a BS degree from the University of Puget Sound and MA, MD, and MPH degrees from the University of Washington. His medical specialty is Preventive Medicine. 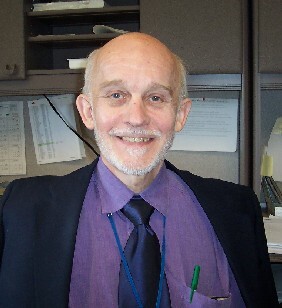 During a forty-year career in public health, he worked with the Centers for Disease Control and Prevention, the Centers for Medicare and Medicaid Services, and the Indian Health Service, as well as several state and local health departments. From 2006 to 2015, Helgerson served as the Montana State Medical Officer. He lives in Bozeman and Seattle. Using scissors he cut the boy’s right trouser leg to view the wound more completely. A jagged-edge laceration began a few inches above the ankle and extended upward about five inches on the right side of the leg. Raymond was pale and moaned when Doctor Harvey began to explore and clean the wound. No bone was visible. Despite the swollen tissue, he palpated an area of fracture of the tibia above the ankle. May returned to the exam room and placed two basins filled with warm water beside the table. Doctor Harvey used the water to clean the skin and irrigate the wound profusely. He knew this open wound was a high risk for infection and further irrigated the wound with a solution of peroxide. For a moment he wished he had access to x-ray equipment but quickly resolved to set the fracture as carefully as he could. He asked May to bring a container of chloroform from the medication cabinet.